Individuals come together from the University at Buffalo School of Architecture and Planning, Glaze Artist Christine Jetten, PLP Architecture, Central Saint Martins College of Art and Design, and Alfred University. Team UB is made up of experts in four critical areas: glazing design, architectural morphology, facade engineering, and ceramic arts. For the 2018 Architectural Ceramics Assemblies Workshop, Team University at Buffalo have been investigating the functional properties of iridescent glazes in architectural building skins. Passive illumination is a technique used in the distant past to circumvent lighting issues prior to readily available electricity; iridescence is also found in the natural world in fish scales, feathers, and bubbles. The surface of the building skin will change the viewer’s perception of the form based on their location and how light moves across the surface of the glazed terra cotta. With glazes formulated by Christine Jetten, Team University at Buffalo will assess the luminous, iridescent glaze’s capacity to reduce both the energy consumption and light pollution of illuminated facades. 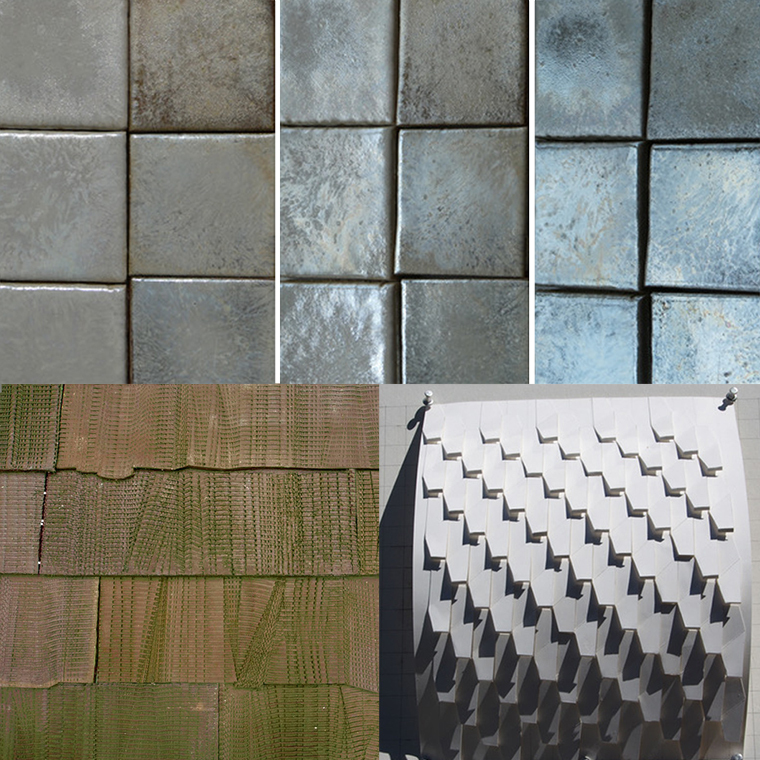 Below are images showing preliminary glaze studies, tile patterning, and form development. At the ACAWorkshop, the team’s scaled prototype will be tested for performance, thermal absorption, and durability. A preview of Team University at Buffalo’s prototype for the 2018 Architectural Ceramic Assemblies Workshop.